To be honest, I thought I had it all going on. The top and pant combo, comfy yet funky trainers, tousled locks settling into semi-obedient waves and I was rocking a red lip. Yep, looking good, lady, looking good. This self assessment was reinforced by the grumpiest sales person in Melbourne. Sylvia possesses all the people skills of an Australian Border Force officer. She is notorious for her efforts with people of non-English backgrounds, repeating herself at top volume to be better understood and openly rolling her eyes. Generally she looks annoyed when I pop by, grudgingly handing me a key to merchandise stock and ignoring my questions about sales performance. Today however, buoyed by the prospect of a public holiday, she was sweetness itself. Sylvia is a chain smoker with the deeply etched lip grooves and yellowed index finger of long standing habit. She sounds like Bea Arthur. The pale grey uniform top was, despite colour matching her complexion, a depressing choice indeed. As were the charcoal pants and black orthopaedic shoes. Anyway, factoring in Sylvia’s many failings as a sales assistant and, her fifty shades of personal grey, today she recognised and noted aloud my sartorial efforts, which I appreciated. I will take my compliments wherever I find them, don’t you worry about that. Though it turns out that all I had going on was a loitering with intent vibe. The shifty look of a light-fingered ne’er do well. 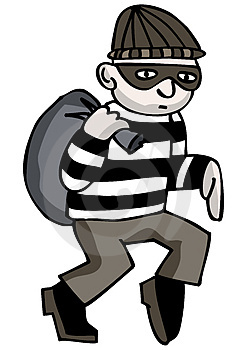 I’ll admit that the black and white horizontal striped top had a touch of your cartoon robber about it, but without the accompanying cap or a big sack with SWAG emblazoned on it, the evidence, M’lud, was tenuous. Before hitting my next stop, I wandered into one of those budget women’s fashion stores forever trying to escape their daggy heritage. They have the tricky task of bridging the consumer gap between long standing customers and a younger demographic. There are older women who remain loyal to the pull on pant and handkerchief hemmed tunic top. Their go-to pieces are being slowly subsumed or replaced by off the shoulder maxi dresses and fitted denim jackets. Then there are the women who don’t want to dress for bingo, but equally, are aware that Topshop and Forever New are not chasing the peri-menopausal market. So there I am, neatly self categorised in this latter category, perusing racks of maxi dresses and denim jackets. A cursory glance here, a brush of the fabric there, quick lap of the SALE section and I was gone. Nothing today, maybe next time. Barrelling along to the next account I was stopped by a little blonde balkan looking woman rushing breathlessly up behind me. “Please can I hef my pents back?” she huffed. I was waiting for her to add something along the lines of, I love your outfit, you look so cute – but once again she insisted I return her pants, only this time she was loudly aggressive.She pointed vaguely at the ones currently covering my lower half and then at the black bag I was carrying. “Gif them bek. The pents. I saw you in my shop, you hef them!” her accented voice was rising sharply. We had quite the audience at this point and my face was flaming. I shook the bag at her and hotly declared that I did not have her or anyone’s else’s pants. She refused to look in the bag and eventually, clicking in disgust at my all too apparent larceny, turned on her heel and stomped off. I stood there staring after her angry retreating form feeling a mixture of embarrassment and outrage. Looking around to explain this clear misunderstanding, I noticed the gathering throng were avoiding eye contact and clicking their collective tongues. Now, despite hours of fighting words variously delivered to mirrors or imaginary crowds, I am essentially a gutless wonder who does not handle confrontation at all well, so this was challenging. Stalking into the store the blonde (I think I’ll go with Bulgarian) sales woman looked up at me from behind the counter and quickly looked back down again. She stared back at me with a vaguely mutinous expression and remained silent; I could feel my face reddening in fury again. On it went. I reenacted my entire store visit for her, moving about the space employing exaggerated pantomime arm gestures to the amusement of other shoppers. “I’m sorry I was wrong,” she eventually mumbled. This was clearly the most penitent she would be. I needed to graciously accept this quasi-apology and move on, but I really needed to know what exactly it was about me that had made her so suspicious. **This is not strictly true. 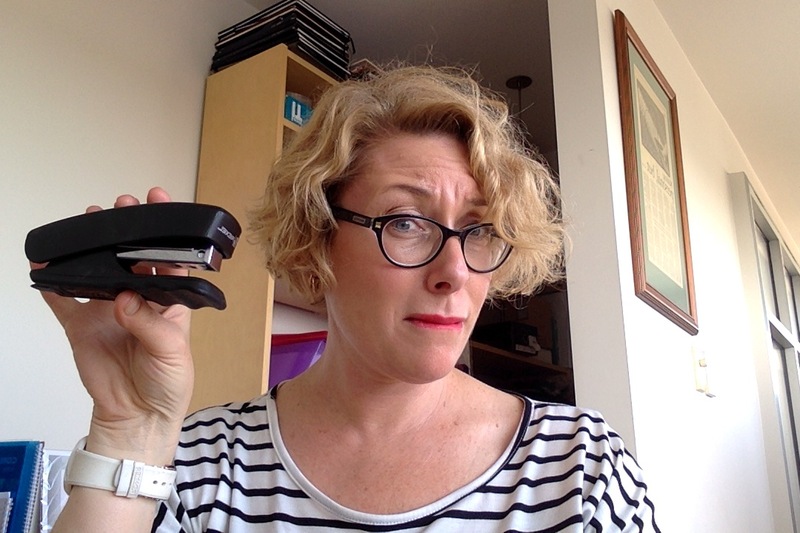 I did pocket a stapler from a brief but scarring stint with a Government department. I feel bad pretty about it. This entry was posted in humor and tagged fashion, Shopping, stealing. Bookmark the permalink. Love it, Jane – fantastic!